Hello Sassy Sanctuary readers! It's me, Melinda from over at Under My Umbrella. I thought I would share my banner because the amazing Krystal designed it :) I'm loving this Wood You Like to Craft group. I'm always amazed at how creatively different we all are. I hope to see you all playing along soon!!! It's been pouring down buckets and buckets of rain here in the Northwest so I was happy to see Krystal's fun Spring project. I love Easter and everything that comes with it! I love, love, love them!!! Here is how I put my own spin on Krystal's project. I took the top pieces off of my already made finials. If you would like the tutorial for how to make them click HERE. I cut some ears out of 1/2 and 3/4 inch MDF. Sand, paint and let dry. I used burlap for my nose and inside of ears. I used two different patterns for my ears. 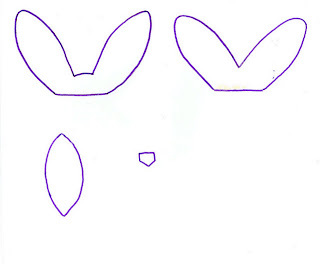 Well actually three but the third was so ugly it won't be shown :) Here is my pattern for the ears, nose and inside of ears. I then Gorilla glued those cute little ears on! Have some fun adding style with burlap! I had my daughters vote on which ears they liked the best. My oldest (she becomes a teenager on Sunday. Eek!!) 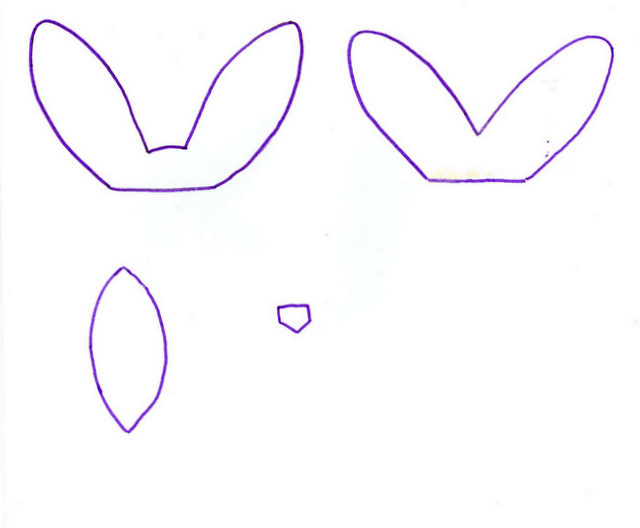 informed me that the ears are not perfectly straight. My reply "Well...no bunny is perfect!" She didn't appreciate my joke but I sure got a good laugh! I like the chubby one! The poor tall one was so tall he kept getting cut out of the pictures. I might have to make him a little shorter! Super easy and cute project. Thanks Krystal for letting me play along. Some bunny loves you!!! So cute Melinda! I love how she took something she already had and gave them an Easter flair. And the burlap is such a cute touch. Love them! Great job!